While not permanently damaging, irritable-bowel syndrome can be an overwhelming disorder, triggered by various foods and stress. Women are more susceptible to irritable-bowel syndrome than men, and it usually begins around age 20. Irritable-bowel syndrome usually starts in early adulthood, and it affects women more often than men. Irritable-bowel syndrome does not permanently damage the intestines, nor does it lead to serious diseases, such as cancer. No one knows what causes IBS. It cannot be traced to any single condition, but research suggests that patients with IBS. have a very sensitive colon, which overreacts in response to triggers, including certain foods and stress, that wouldn’t bother most other people. 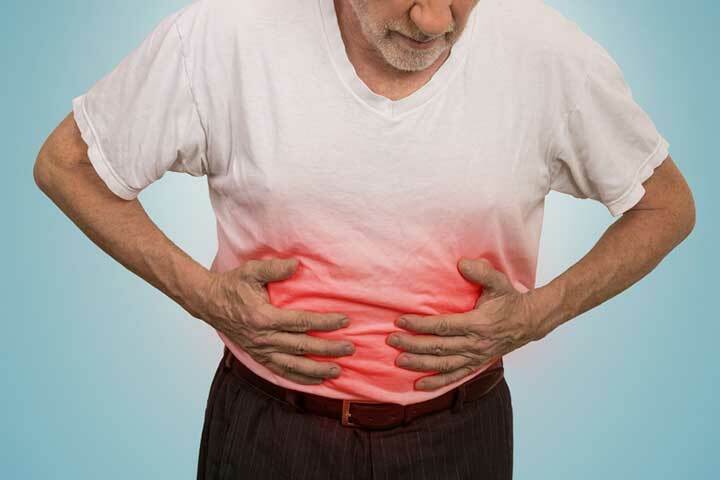 Irritable-bowel syndrome is often diagnosed when other gastrointestinal conditions have been ruled out. No specific test can confirm its presence. 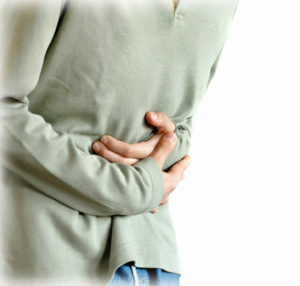 The most common symptoms are pain (often below the navel), stomach cramps, bloating, constipation, and/or diarrhea. Symptoms of IBS can worsen after eating large meals or fatty foods; taking certain medicines; eating wheat, rye, barley, or chocolate; and drinking milk, alcohol, or caffeine-containing coffee, tea, or soft drinks. Treatment addresses symptoms, rather than curing irritable-bowel syndrome. Most people with IBS can control their symptoms with diet, stress management techniques, and medications, including the antibiotic rifaximin. Prescription medications can decrease diarrhea and control colon muscle spasms, and reduce pain. A pilot study conducted at the Mayo Clinic found that irritable-bowel syndrome patients may benefit from taking pregabalin, a drug commonly used to treat fibromyalgia. A pilot study conducted at Mayo Clinic found irritable-bowel syndrome patients may benefit from taking pregabalin, a drug commonly used to treat fibromyalgia. Because there are currently limited treatment options to treat abdominal pain associated with IBS, the scientists theorized that taking pregabalin might be helpful. They followed 85 patients, ages 18 to 70, for 12 weeks and compared their results to those who took a placebo. The pregabalin group reported significant improvement in pain management compared to the placebo group. Data also showed improvement in bloating and diarrhea. Preliminary evidence suggests that pregabalin may be an additional treatment option for IBA who have failed other treatments, but more research in needed to confirm the findings. To address the psychological components of irritable-bowel syndrome, you can try relaxation training, meditation, yoga, exercise, avoiding stressful situations, and getting quality sleep. A study at Vanderbilt found IBS patients assigned to a cognitive behavioral therapy group showed greater improvement than those who received other types of therapy. Psychologists at Vanderbilt University compared types of psychotherapy to determine which is best at improving the ability of irritable-bowel syndrome patients to participate in daily activities. The authors analyzed 31 studies involving more than 1,700 subjects who were assigned to either psychotherapy or a control condition such as support groups, education, or wait lists. Those in the experimental group showed greater gains in daily functioning than those in control groups, but hose assigned specifically to receive cognitive behavioral therapy experienced larger improvements than those who received other types of therapy. The findings showed that encouraging individuals to gradually confront uncomfortable situations may increase their ability to participate in a wider range of activities. The study was published in the November 18, 2006, edition of Clinical Psychology Review. abdominal pain, alcohol, bloating, bowel syndrome, caffeine, cancer, chocolate, coffee, cognitive behavioral therapy, constipation, cramps, diarrhea, diarrhea symptoms, diet, exercise, fibromyalgia, gastrointestinal, ibs, ibs, irritable bowel, irritable bowel syndrome, irritable bowel syndrome treatment, meditation, milk, muscle, muscle spasms, pain, pain management, relaxation training, sleep, stomach cramps, stress, stress management, stress management techniques, stressful situations, symptoms of ibs, treating irritable bowel syndrome.